It started off with a little sensitivity to cold drinks in my back molar on Maundy Thursday, but by Easter Saturday it had acquired a throbbing gnawing quality which intensified with any attempt to eat, and was only partially numbed by painkillers, so by Easter Sunday I was not really enjoying life. 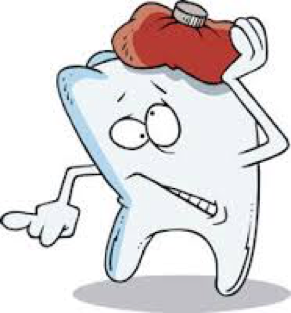 The long Easter weekend is not a good time to get toothache with all the dentists closed. It was more in desperation than great faith that I went up at the end of the Easter morning service to ask the prayer team for a prayer for my tooth. A simple prayer was said, asking Jesus to heal my tooth and take the pain away. There was no instantaneous miracle, but by the end of Easter day the pain was easing, and by Tuesday morning the pain had practically vanished, and my dentist could find no obvious cause for the pain. I was very thankful for my little miracle, as it meant I no longer had pain and still have that tooth sound and healthy in my mouth. It also means that I can thank Jesus for answering prayer, and can witness that He is still today a God who answers prayer. Of course, I am also very thankful for our wonderful modern dentists who seem to be able to perform little miracles of their own with my teeth from time to time. However, we still live in a world where pain and suffering is a reality. So why does God allow pain and all the other ills that we are subject to? Of course, they are all part of our fallen world. In fact, pain plays a very important physiological role. It teaches us not to put our hand in the fire, and it warns us when we are putting our joints in positions where they are just not meant to go. However often it becomes chronic and is part of some disabling disease. So, we are confident that we have a loving heavenly Father who loves us to come to Him with all our pains and troubles, and He is always willing to give us the very best things that will bind us closer to Him, and demonstrate His wonderful love for us. We now have a prayer ministry team at the end of every service in Trinity, and many members of our congregations who are very happy to pray for everyone. 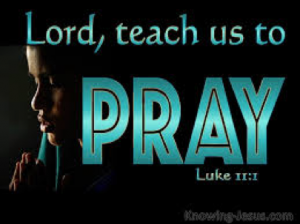 So, the more we come forward for prayer, the more we will experience the grace of a loving God, and the more we will live feeling the hand of Jesus on our lives.